Air Control Slient Window The Silent Air Control nozzle controls the amount of air pushed into the pedicure spa basin. For use on pedicure spas that are equipped with Geni Jets. Gs4014 Chrome Button Dimensions listed pertain to shipping sizes only; NOT the actual product size. Shipping Charges may change without notice. Shipping Charges are valid for the continental US and Canada, this does not include Hawaii or Alaska. Shipping charges to other locations will vary. Please contact us for details. 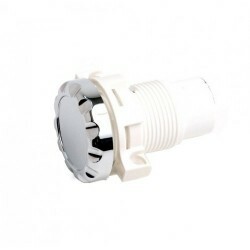 Spa Push Button with ANS logo Convenient replacement push button for your pedicure spa. 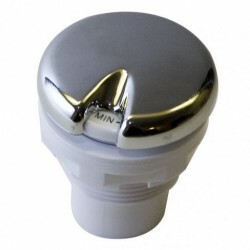 Use for the spa’s drain or jet button control.